iPhone XR has received a discount of up to Rs. 24,500 in India while Xiaomi Poco F1 prices have been slashed by Rs. 1,000. 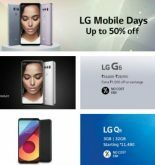 Read on to know the phones that are available on discount. Smartphone industry is exponentially growing and with that, the competition against phone makers have increased in the country. Therefore, to stand out from the clutter, some companies prefer to drop the prices temporarily while others try to incorporate the demanding features at an affordable price tag. But, on the consumer level, it is difficult to keep a track of what’s transpiring through the smartphone arena. So, here we have compiled a list of phones that have received a temporary or permanent price cut in India or are available on discounts. Realme 2 Pro: Realme has also slashed the prices of its two smartphones namely Realme 2 Pro and Realme U1. The Realme 2 Pro price has been decreased to Rs. 11,990 down from Rs. 13,990 for the 4GB RAM with 64GB storage model while the 8GB RAM with 128GB storage model now costs Rs. 13,990 after the price cut. iPhone XR: iPhone XR price have been reduced to Rs. 59,900 for the base 64GB storage option, Rs. 64,900 for the 128GB storage model and Rs. 74,900 for the higher 256GB storage option. Under the promotional offer, the company is also providing an additional discount worth 10 per cent, bringing its price further down to Rs. 53,900 for the basic 64GB version. Nokia 6.1 Plus: HMD Global has reduced the prices of Nokia 6.1 Plus by Rs. 1,000 bringing its price down to Rs. 16,999 in India. Additionally, customers can also get 15 per cent cashback on payment via HDFC debit/credit card and EMI transactions. The offer will be available till April 20, 2019. Oppo F9 Pro: The Oppo F9 Pro has also received a price cut worth Rs. 2,000 in the country. The phone now costs Rs. 17,990 for the 128GB storage model. It key features include a 6.3-inch full HD+ display, MediaTek Helio P60 SoC and dual rear camera setup. Redmi Note 6 Pro: The Redmi Note 6 Pro price in India have been slashed to Rs. 11,999 from Rs. 15,999. The device is also available with no-cost EMI option via Mi.com. Reliance Jio customers can additionally avail up to Rs. 2,400 instant benefits with up to 6TB Jio 4G data. Xiaomi Poco F1: Poco F1 was launched at Rs. 20,999 in India and now the device costs Rs. 19,999 after receiving a temporary price cut worth Rs. 1,000.